Wing Structure: A two-piece, cantilever gull-wing glider of wooden construction with a trapezoidal shape with streamlined end pods. It employed a torsion nose with plywood planking. The wing section was an own design Laminar profile with internally geared differential ailerons and lower surface airbrakes. 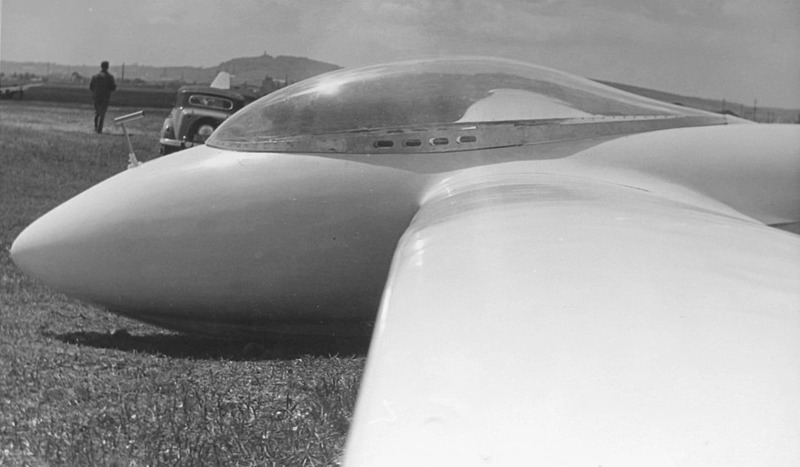 Fuselage: A streamlined skinned body on timber frame, with an aerodynamic Fuselage-wing junction. Roomy, single-seat Cockpit. Full-blown cover giving good visibility. 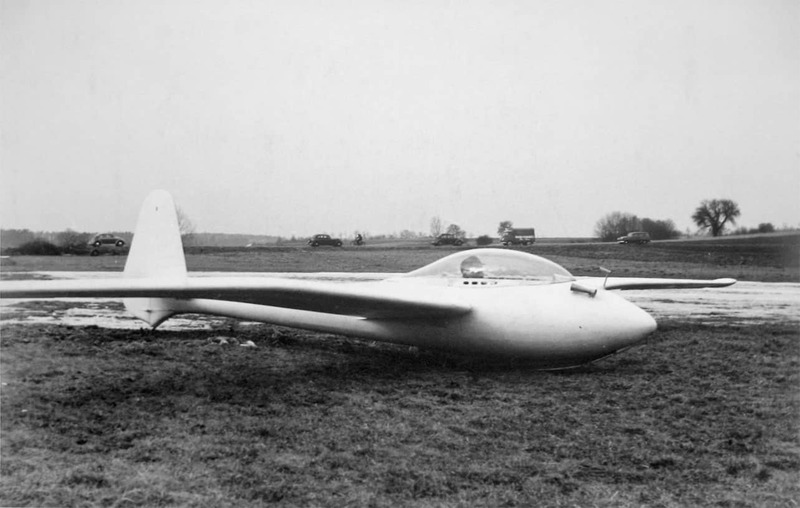 Skid with two twin shock absorbers. Spring leaf tail skid. 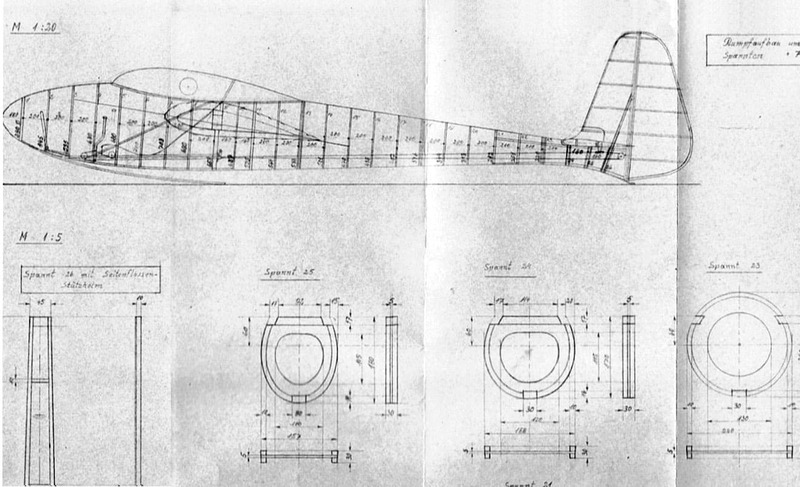 Tail: Rudder and elevator were unbalanced and planked with plywood. 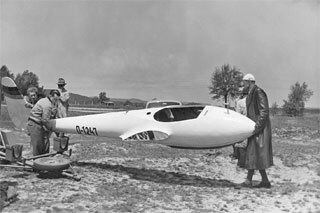 The static stability calculations by: Senior Engineer Gerhard Siegel VDI, Bad Tölz, and his Hamburg engineer team. 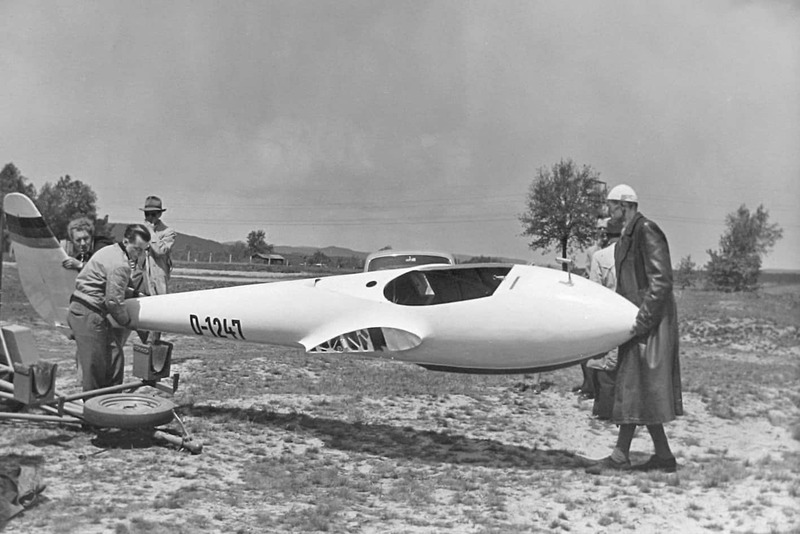 “I grew up in Germany and in the 1950s my father, a successful business man, had met a glider designer who needed the financial resources to get a design off the drawing board. 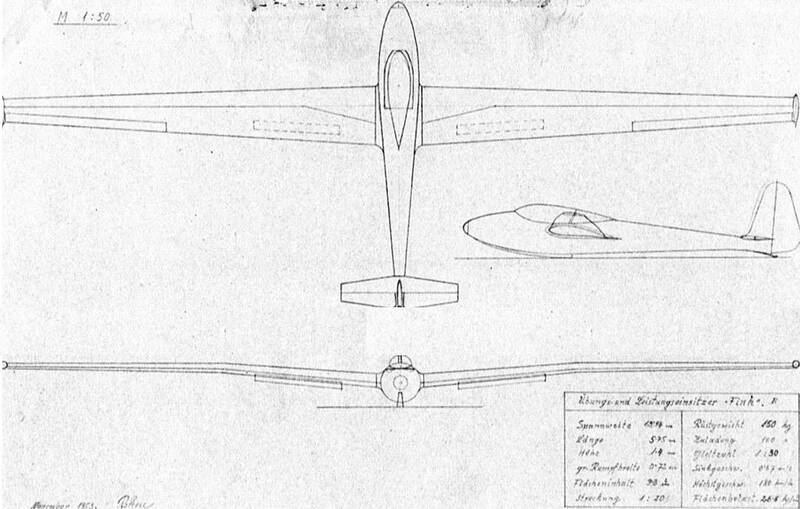 My father provided the necessary finances and as a result a glider was born which, certainly in my eyes, was, and still is, of unsurpassed beauty. It was called RoPa 140 an acronym for Rohm (the designer) and Passon, my father’s name, the 140 refers to the wing span of 14 meter. 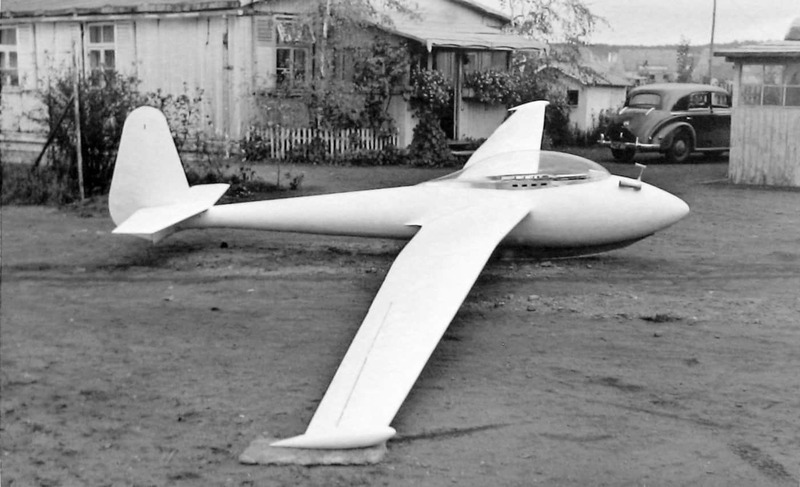 Rohm, some time earlier, had built a smaller version of this model with a wing span of, I believe, about 8 meters. 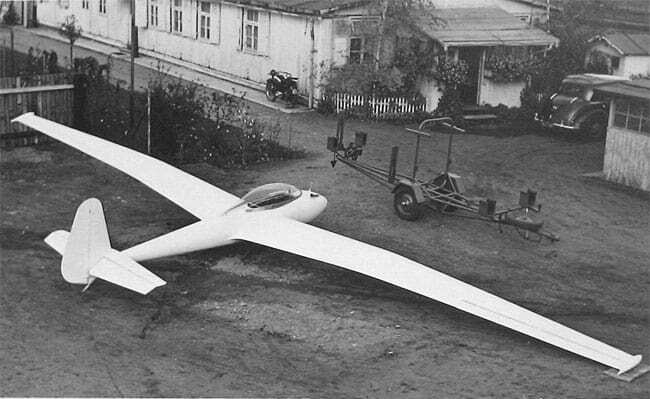 He had also built a much larger glider, a twin propeller pedal/man-powered one, all in a similar configuration. 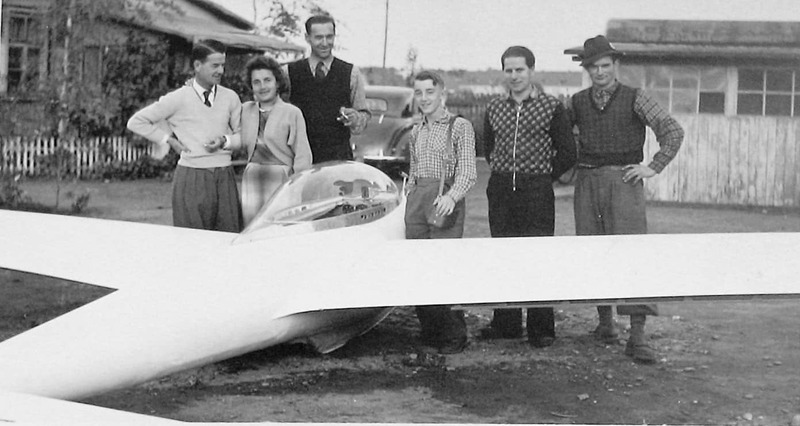 All were so anxious to have the glider in the air that, even without the wing and body receiving the necessary polished finish, it broke, at the time, the world record (unofficially) in flying a triangle (which I believe was 100 kilometres per leg – I’m guessing here since I was just about 17 years of age when the flight was undertaken). 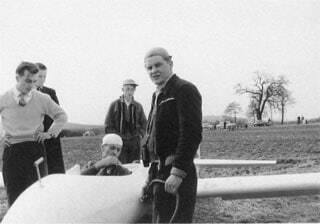 The glide angle turned out to be in excess of 1 :40 and I do remember Herr Rohm excitedly exclaiming, after the initial trial flights that he had “problems in getting the glider down” such was the exceptional angle of decent. Jorg Passon – who supplied all this information and also helped with the build and two of the glider constructors.